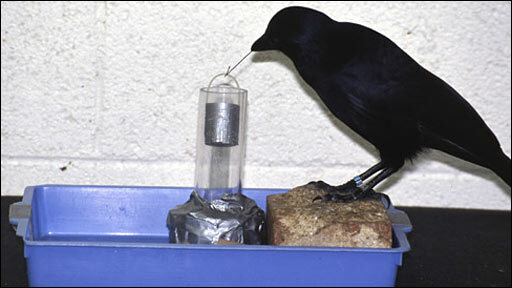 Betty, a New Caledonian crow, astounded scientists with her tool-crafting abilities, which were first reported in the journal Science in 2002. The researchers were testing how New Caledonian crows selected tools by presenting them with a small bucket, placed in a well, which was filled with some food, and pieces of wire, some straight and some with a hook at the end. The aim was to see whether the crows would select the bent wire to retrieve the treat-laden bucket. But Betty astonished researchers when she selected a straight piece of wire and then used her beak to bend it into a hook so she could pull up the bucket of food. This was the first time that any animal had been seen to make a new tool for a specific task, without an extended period of trial-and-error learning.